LIÉNARD DE BEAUJEU DE VILLEMONDE, LOUIS (baptized Louis-Joseph), army and militia officer and seigneur; b. 16 Sept. 1716 in Montreal (Que. ), third son of Louis Liénard* de Beaujeu and Thérèse-Denise Juchereau de Saint-Denys, née Migeon de Branssat; d. 5 June 1802 in Cap-Saint-Ignace, Lower Canada. Born into a noble family with a long military tradition, Louis Liénard de Beaujeu de Villemonde was granted a second ensign’s commission in the colonial regular troops in 1732 and promoted first ensign six years later. 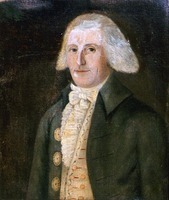 In 1741 he was serving at Fort Saint-Frédéric (near Crown Point, N.Y.) and in 1743 at Fort Niagara (near Youngstown, N.Y.); the following year he received his lieutenant’s commission. He and his brother Daniel-Hyacinthe-Marie Liénard* de Beaujeu sailed in June 1746 with Jean-Baptiste-Nicolas-Roch de Ramezay*’s expedition for Baie-Verte (N.B.). 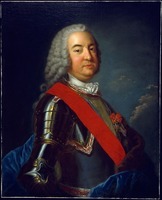 On 22 September he was sent by Ramezay to receive orders for his troops from the Duc d’Anville [La Rochefoucauld*], who had come from France with a large force to clear the British out of Acadia. Beaujeu fought in the battle of Grand Pré on 11 Feb. 1747 against Lieutenant-Colonel Arthur Noble*. 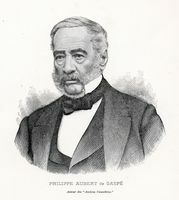 During the Acadian campaign Beaujeu, who was a pious Roman Catholic, killed a British soldier who was also Catholic and, according to the author Philippe-Joseph Aubert* de Gaspé, this incident still affected Beaujeu at the end of his life. On 18 July 1747 at Quebec Beaujeu married Louise-Charlotte, daughter of François-Étienne Cugnet*, member of the Conseil Supérieur. One year later he was reporting on the fortifications at Fort Saint-Jean, on the Richelieu, when he was called back to Quebec for Louise-Charlotte’s burial; she had died giving birth to their daughter, Julie-Louise. 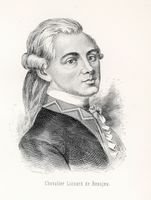 Beaujeu was promoted captain in 1751, replacing Pierre Gaultier* de Varennes et de La Vérendrye, and made commander of the posts of Kaministiquia (Thunder Bay, Ont.) and Michipicoton (Michipicoten River, Ont.). On 22 Feb. 1753 at Quebec he married 17-year-old Geneviève Le Moyne de Longueuil, daughter of Paul-Joseph*, and they would have seven children. 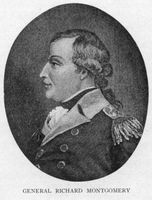 That July he was at Michilimackinac (Mackinaw City, Mich.), where he had been placed in command, but by 15 October he was commander at Fort de la Presqu’île (Erie, Pa). 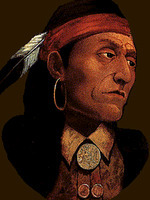 He was again in command at Michilimackinac in May 1754, but does not seem to have remained there long. On 20 July 1755 Beaujeu was granted the seigneury of Beaujeu on the west shore of Lake Champlain, but the concession apparently did not receive royal confirmation. He was at Fort Carillon (near Ticonderoga, N.Y.) in July 1756, and on the 30th he was sent by François de Lévis* at the head of 100 Canadians and 120 Indians on a mission to take prisoners on the route between Fort Lydius (also called Fort Edward, now Fort Edward, N.Y.) and Fort William Henry (also called Fort George, now Lake George, N.Y.). He captured six soldiers in an ambush of an advance guard, but was prevented by the Indians in his force from attacking the main party. For his action he earned the strong praise of Lévis in a letter to Governor Vaudreuil [Pierre de Rigaud*]. In October 1769 Beaujeu’s wife, by an agreement with her brother Joseph-Dominique-Emmanuel Le Moyne de Longueuil, acquired the seigneury of Île aux Grues, Île aux Oies, and adjacent islands where the Beaujeus then went to live; Beaujeu had a manor constructed on Île aux Grues and busied himself with the settlement of the seigneury. He was there in the autumn of 1775 when the American revolutionary army invaded the colony [see Benedict Arnold; Richard Montgomery*]. 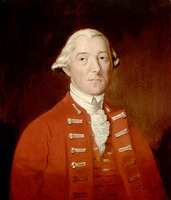 In March 1776, with the Americans besieging Quebec, Governor Guy Carleton requested Beaujeu, whom one of the defending garrison called “that partisan of tried fidelity,” to raise a relief force among the Canadians along the south shore of the St Lawrence below Quebec. Beaujeu gathered a force of about 150 men, but when his advance guard was captured at the house of Michel Blais* in the village of Saint-Pierre-de-la-Rivière-du-Sud, he dispersed the remainder and went into hiding. Beaujeu’s son Charles-François, who was in the French navy, fought on the American side during the revolution. Beaujeu apparently lived the last 25 years of his life in financial difficulties. By the early 1770s he owed £500 to Jacques Perrault*, known as Perrault l’aîné. In February 1779 he sold his “fine large House two Stories high,” situated on the Place d’Armes at Quebec. In August 1782 the seigneury was offered for sale, but not sold. Two years later Beaujeu borrowed £144 from Samuel Johannes Holland, and in August 1789 he sold the two small islands of Île Patience and Île au Canot, forming part of his seigneury as the fief of Grandville, to the merchant Alexander Wilson for £20. Nevertheless Beaujeu continued to live the life of a seigneur: in November and December 1788 he signed petitions opposing the political reform movement led by the colony’s merchants (see Jean-Baptiste-Amable Adhémar*; George Allsopp]; in July 1790 he was promoted to the provincial rank of captain and given half pay for his part in the American revolution; and when, in October of that year, the brigantine Atlas was lost in a gale off the Île aux Grues, the surviving crew and passengers were generously received by Beaujeu and given shelter among the families inhabiting the island. In June 1800 he again offered the seigneury for sale, but he had not sold it by the time of his death on 5 June 1802. His estate was so indebted that his inheritors renounced it. In August 1802 the seigneury, by then fully settled, was sold at public auction to the merchant Daniel Macpherson for £2,100. AN, Col., D2C, 57: f.153v. ; 58: f.25; 61: ff.10v., 48v., 128v. ; Marine, C2, 55 (copies at PAC). ANQ-Q, CE1-1, 18 juill. 1747, 22 févr. 1753; CN1-11, 19 févr. 1753; CN1-92, 4 août 1789; CN1-230, 27 août, 9 sept. 1802. PAC, MG 18, N13 (photocopy). “Acte de mariage de Louis Liénard de Beaujeu et Geneviève Lemoine de Longueuil,” BRH, 54 (1948): 239–40. “Acte de mariage de Louis Liénard de Beaujeu et Louise Charlotte Cugnet,” BRH, 52 (1946): 59–60. Coll. des manuscrits de Lévis (Casgrain), 2: 33–34, 40, 43, 60; 8: 21–22; 10: 32–33. “État général de la noblesse canadienne, résidant actuellement dons la province de Québec, ou au service de l’année française, ainsi que le lieu de leur résidence en novembre 1767,” PAC Rapport, 1888: 35. “État général des billets d’ordonnances” (Panet), ANQ Rapport, 1924–25: 260. Invasion du Canada (Verreau), 195–97. Wis., State Hist. Soc., Coll., 3 (1857): 216; 7 (1876): 139, 180, 182, 186–87; 8 (1879): 213; 16 (1902): 386; 17 (1906): 71, 432; 18 (1908): xvi, 84–85, 131, 221–22, 479, 484; 19 (1910): 33–35, 37, 51–56, 59–61. Quebec Gazette, 30 April 1778; 18 Feb. 1779; 29 Aug. 1782; 13 Nov., 11 Dec. 1788; 22 Jan. 1789; 15 July, 4 Nov. 1790; 19 June 1800. Ægidius Fauteux, Les chevaliers de Saint-Louis en Canada (Montréal, 1940), 172. Massicotte, “Répertoire des engagements pour l’Ouest,” ANQ Rapport, 1932–33: 250–51, 259. P.-G. Roy, Inv. concessions, 1: 222–23; 5: 88. [François Daniel], Histoire des grandes familles françaises du Canada, ou aperçu sur le chevalier Benoist, et quelques families contemporaines (Montréal, 1867), 262–66; Le vicomte C. de Lévy, lieutenant-général de l’empire français, ingénieur en chef de la grande armée, et sa famille (Montréal, 1867), 202, 225, 227. Lanctot, Le Canada et la Révolution américaine, 148–50. J.-M. Lemieux, L’île aux Grues de l’île aux Oies: les îles, les seigneurs, les habitants, les sites et monuments historiques (Ottawa, 1978), 89–92. Alexandre Mazas, Histoire de l’ordre royal et militaire de Saint-Louis depuis son institution en 1695 jusqu’en 1830 . . . (2e éd., 3v., Paris, 1860–61), 2: 174. J.-E. Roy, Hist. de Lauzon, 2: 60–61. P.-G. Roy, Hommes et choses du fort Saint-Frédéric (Montréal, 1946), 350. Joseph Tassé, Les Canadiens de l’Ouest (2v., Montréal, 1878), 1: 23–24, 93, 95, 103. Marc de Villiers Du Terrage, Les dernières années de la Louisiane française . . . (Paris, 1905), 146, 178, 191. Alphonse Gauthier, “La famille de Georges-René Saveuse de Beaujeu (1810–1865),” SGCF Mémoires, 6 (1954–55): 198. Hugolin Lemay, “Le registre du fort de la Presqu’île pour 1753,” BRH, 44 (1938): 204, 208. N.-E. Dionne, “L’invasion de 1775–76,” BRH, 6 (1900): 132–40. David Daniel Ruddy, “LIÉNARD DE BEAUJEU DE VILLEMONDE, LOUIS,” in Dictionary of Canadian Biography, vol. 5, University of Toronto/Université Laval, 2003–, accessed April 24, 2019, http://www.biographi.ca/en/bio/lienard_de_beaujeu_de_villemonde_louis_5E.html.